Okay, stay with me here. I am the worst person for wanting to lay in in a morning, but waking up earlier really does make you feel better for the rest of the day. Those extra 15 minutes will give you more time to wake yourself up and get mentally prepared for the day. They’re valuable, trust me. Just do it, you’ve got to. Turn your light on as soon as your alarm goes off and it will give the illusion of a light morning. You’ve got to just bite the bullet and get out of bed though, and once you do you’ll feel better for the extra time you will get in the morning. Everywhere. There’s nothing worse than trying to get ready and prepared for the day in a dark house, so turn on the lights and try to think of light, rather than how tired the dark makes you feel. You should eat breakfast anyway, but especially during the darker months. Even if you don’t have loads of time in the morning, you could always make something the night before and have it ready in the fridge (such as yoghurt, honey and fruit) or a smoothie is a nice and quick way to get a healthy breakfast, plus you can take it on commute with you! I mean, if you work ages away, then maybe don’t. But, if it’s within walking distance, why not walk there?! The extra exercise will make you feel happier before the day begins properly, and the crispness of the autumn air will certainly wake you up! What are your tips for getting up when it’s dark? Let me know in the comments! I want to get creative with my breakfasts to make me feel a bit more excited about the darker mornings! I love darker mornings and when it gets darker in the evenings because it makes my perfect combo of Netflix and bed even more cosy, however, it ruins my productivity so I like these tips, I think they’ll improve my productivity slightly especially getting up 15 minutes early. 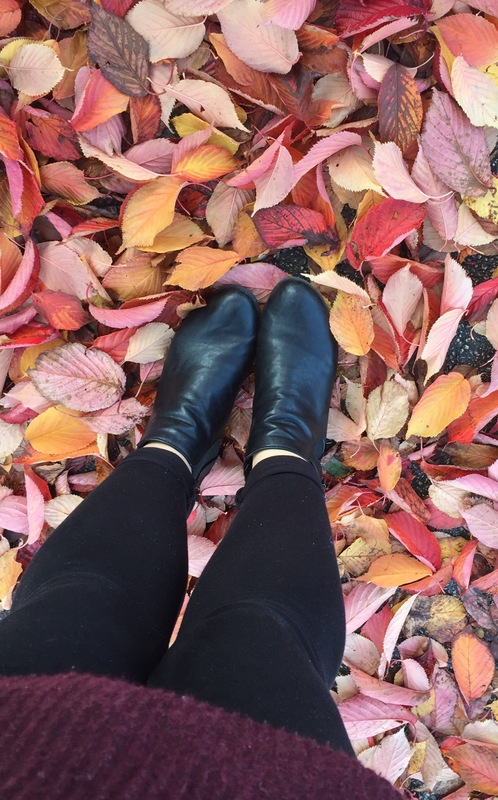 I find this time of year a funny transitional period – I love Autumn and embracing these darker mornings but it can be such a struggle to get up and get moving. I love your tips – I have to drive to work but I get in early, so I think I’m going to start walking by the river in the mornings to get me feeling fresh! The 15 mins earlier tip is a great one, too! I’m going to give that a try this week! I definitely need to start getting into a better sleep routine so that I can get up earlier! At the start of term I was doing so well – I was in the library by 8am most mornings but now I’m definitely in a mid-term slump where I’m lacking in motivation! Hopefully the extra hour of sleep we’ll be getting soon will kick me back into gear! Walking everywhere in the crisp autumnal air certainly makes me feel more up-and-at-em if that makes sense, even if it’s just the short walk from my house to campus! Thank you for sharing this much-needed advice!